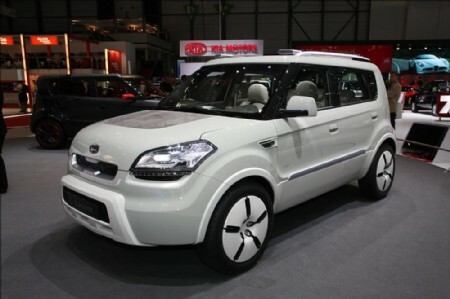 Kia unveiled its next Soul early in 2013 at the New York Motor Show, but it will not be until April before we see the new car in the UK. Its styling still has much in common with the original Soul and the most obvious difference is the adoption of Kia’s family grille. However, the new car is a little bigger thanks to a 20mm longer wheelbase and 15mm more width, which means a little more space inside the cabin and boot. UK buyers will have a choice of 1.6-litre petrol or diesel engines. Six-speed manual or automatic gearboxes will be on offer and Kia is yet to confirm economy and emissions figures, but says they will be a marked improvement in the current car’s.